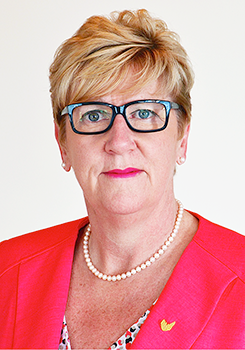 The president of Niagara Health is stepping down. Suzanne Johnston has led Niagara Health for the past four and a half years and her last day is June 30th. Her leadership was driven by passion and commitment and helped Niagara Health become one of the top employers in Hamilton-Niagara. Under her guidance, Niagara Health was also able to reach Exemplary Accreditation Status for the first time. This award recognizes tangible improvements in quality and safety. Niagara Health is grateful to Suzanne Johnston and wishes her well in her next step. The board will work towards a transitional recruitment plan and provide updates.